Make yourself at home in this completely remodeled 2 bedroom with a loft townhome. Tastefully decorated, home has all new flooring, paint, carpet, and appliances. Updated kitchen has the perfect look with new backsplash. The two story living room is punctuated by the natural sunlight from the soaring windows. Located in beautiful Essex Village, very convenient to schools and shopping. Enjoy the comforts of the pool, and clubhouse. Your new home is here. Wonderful townhome ready for new owners. This spacious Bennington model offers an open floorplan. New laminate floors added through most of the home in late 2018. Great for entertaining with large Living Room, breakfast bar, eating area & Dining Room. Expansive Master Suite includes private bath and walk-in closet. Additional features include: volume ceilings, private deck and all appliances included. Fantastic location within the neighborhood. Light, bright, freshly painted and move in ready! 3 bed/2 bath. END UNIT! !GREAT location~Minutes from everything~Randall Rd., I-90, shopping, and restaurants! DISTRICT 155 SCHOOLS! Private entrance - featuring vaulted ceilings, private deck, soaker tub in master bath! Den currently being used as 3rd bedroom~ Private attached garage. ~ Pool/hot tub, walking trails & clubhouse. One year Home warranty and $2000 flooring allowance for contracts prior to May 1, 2019 Great chance to pick your new flooring to match your decor. 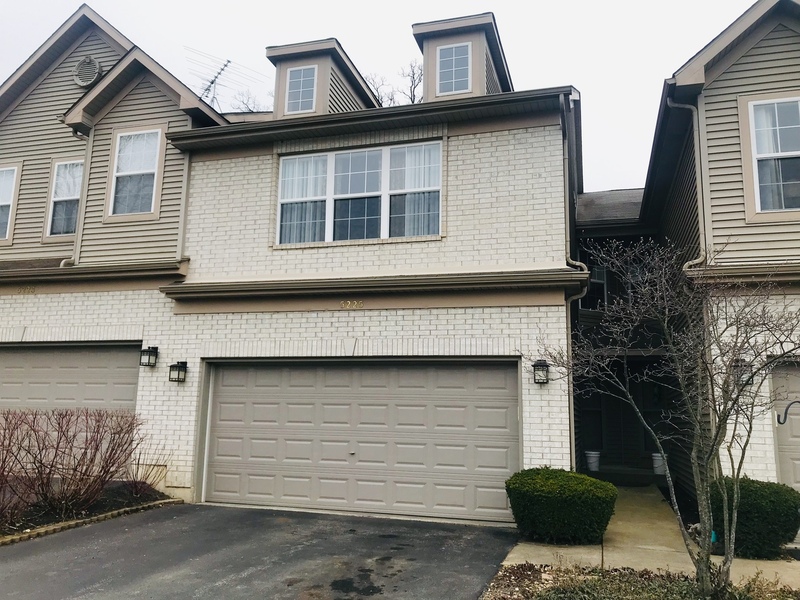 Light & bright condo in Crystal Lake! Second floor ranch unit features open living and dining room with vaulted ceilings. Kitchen with lots of cabinets, counter space and a bright eating area. Three bedrooms & two full baths; large master bedroom with vaulted ceiling and master bath has large tub & separate shower. New blinds throughout! Nice deck for grilling and enjoying nature. Close to shopping, entertainment, restaurants, parks and schools. Amenities include community pool, clubhouse. So much to fall in love with here!! Quiet 2nd floor unit with a private entry, nestled back in a cul-de-sac. Home is freshly painted & lovingly maintained. 3 bedrooms & 2 full baths, 1528 sq ft of living space. Home features a sunny kitchen with a bay dining area! Huge family room w/ cozy fire place and private deck access. Master bdrm suite features vaulted ceilings, his/her closets, private bath w/ garden tub & separate shower! Convenient full size laundry in unit! Additional storage in 2 attics. Upgraded lighting package with dimmers, my Q Smart phone controlled garage opening system. Community amenities include walking paths, pool & clubhouse! Premium location close to 3 oaks beach/recreation, downtown, shopping/dining on Randall , and 5 min to train station! Pets ok/ no weight restriction. Attached one car garage with extra storage space. Plenty of parking on driveway & across from unit. Home warranty included! Call to schedule your tour today! This is a must see!!! Nicely updated and clean 2nd flr unit featuring oak kitchen cabinets, new stone counter tops, good size bedrooms with new carpet new look of the bathrooms with master bdrm bath. Newer laminate flooring in living rm open floor plan with big private balcony overlooking the courtyard, in unit full size stackable washer & dryer, private storage located in the hallway across the unit. Spacious 2nd floor unit with Balcony! Brand new Water Heater, newer carpet, new patio door. Bright Kitchen with breakfast bar open to dining room! Open floor plan with living room overlooking balcony. Mater has huge walk in closet with Jack and Jill bath. Laundry in unit. All Appliances included, except microwave. Great location, minutes from shopping and close to expressway. Very well kept unit! Will not last long.